At Westfield Braces, we are committed to the perfect patient journey. 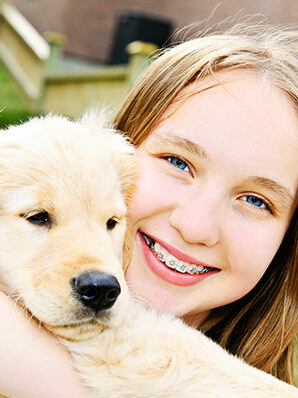 We deliver the highest orthodontic care and superb customer service, all in a caring environment. Our practice is devoted to delivering personalized treatment, working with you to identify your unique needs and considerations, and developing individualized care plans to create a healthy, beautiful smile just for you. Here, we understand the importance of developing a relationship with you and learning about your treatment needs and goals before we create your customized treatment plan. It’s essential that we get to know you, so we are able to identify the treatment process that works for your lifestyle and provides you with the care experience you desire. One of the first things you’ll notice when you walk into our Westfield orthodontic office is the number of smiles from our other patients and among our team members. We love our work and we care about our patients; we look forward to their visits as a chance to catch up on their latest news and adventures. Our goal is to make you as comfortable as we can. We have a lot of technology that kids and adults are used to, like our iTero® digital scanning system. It eliminates the need for goopy, uncomfortable traditional impressions! We want you and your family to be excited every single time you come to our office! Have fun while you’re here and make your smile beautiful!